At last! Happiness spring - cleans the heart! Spring gives us thousands of opportunities to enjoy life. If the weather is fine even a usual evening dog walking turns precious. 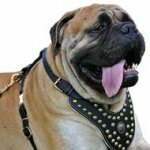 What to say about training? 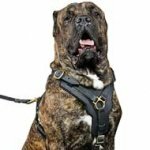 This Spring we've prepared comfy and practical training gear for your Cane Corso. Be decisive! Upgrade his sportswear and join the all-around sports marathon! 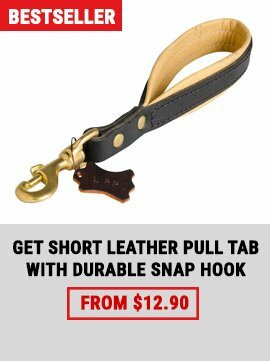 It's your and your dog's time to live this Spring to the fullest!! 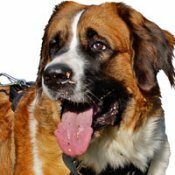 Please, take a look at our Spring Suggestions for your beautiful Molosser! 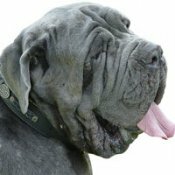 The main thing in Cane Corso training is to pay enough attention to your dog and to help him to form his own attitude to people. 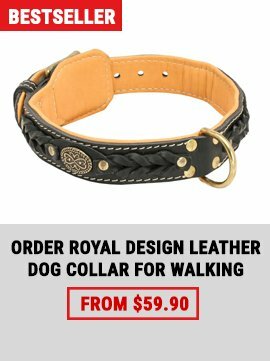 Don’t imprison your pet in one territory. 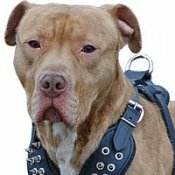 Try to take him with you for walking as often as possible so that he could learn how to behave with other people, dogs, transport and not to be coward (it may happen because of wrong training). 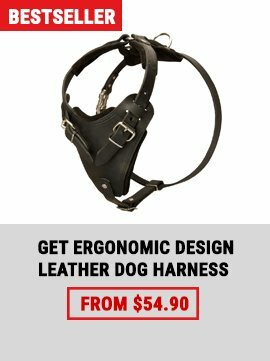 Extra durable leather harness with thick padding and Y-shaped chest plate was designed to efficiently distribute the load while training. 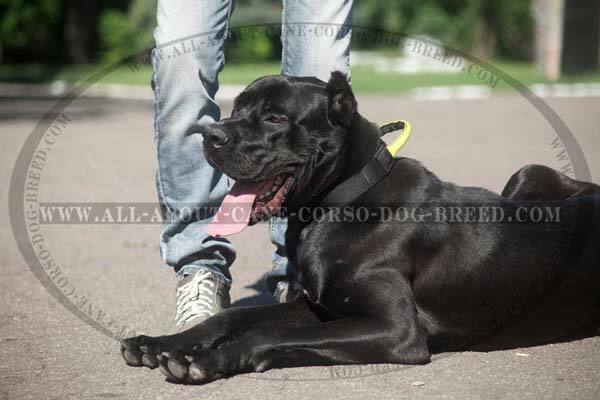 Special construction of the chest plate will emphasise the athletic body building of your Cane Corso. 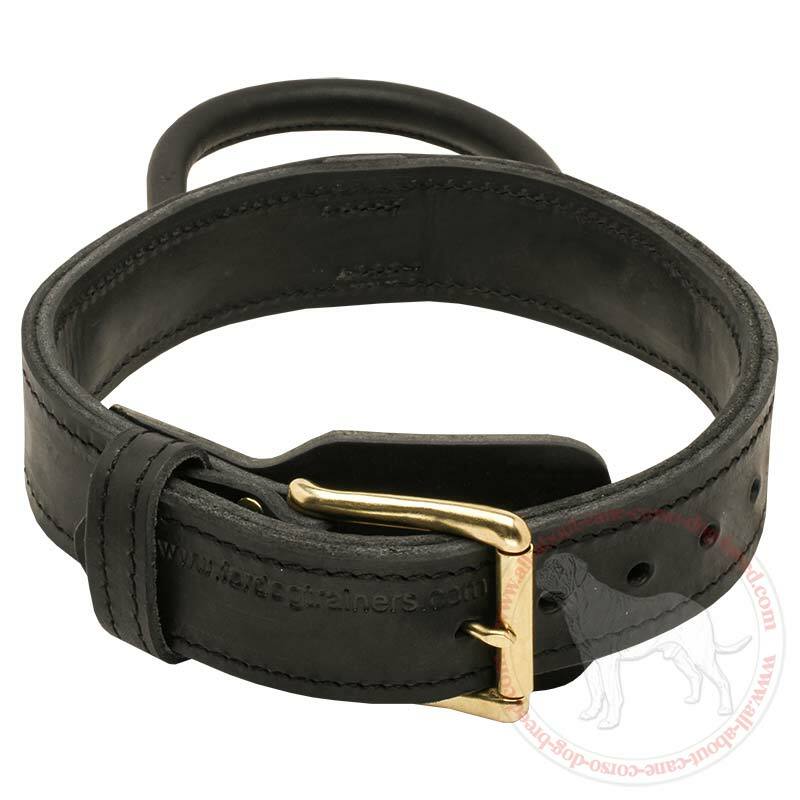 Wide 2 ply leather collar with special quick grab handle and solid brass fittings will help you to have a reliable control over your Cane Corso while different kinds of training and walking. 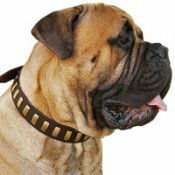 Special fur protection plate protects dogs' skin from irritations.